Mom is really at it today! 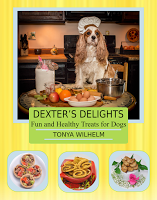 A cod and eggplant recipe just for dogs. Or I should say, “Just for me”! 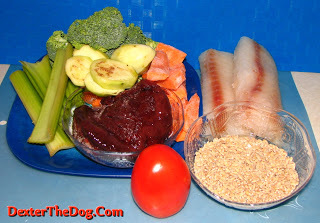 I do love my dog fish meals because the meat is low in calories, so I get to eat more food! I always like to eat more dog food. 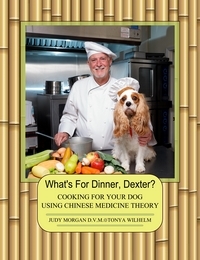 Eating my home-cooked dog dishes is a real treat! I like to eat more now than ever if that is possible! Woof!